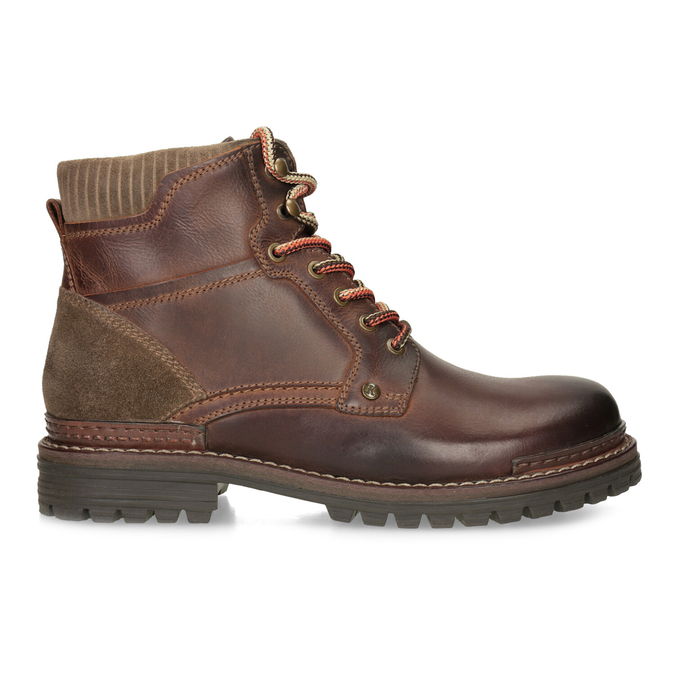 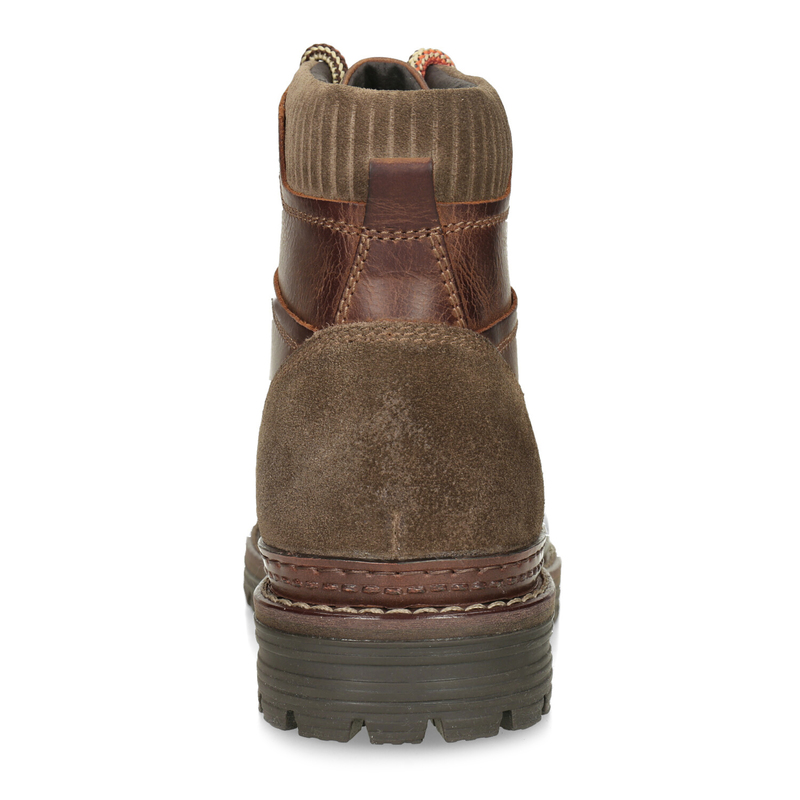 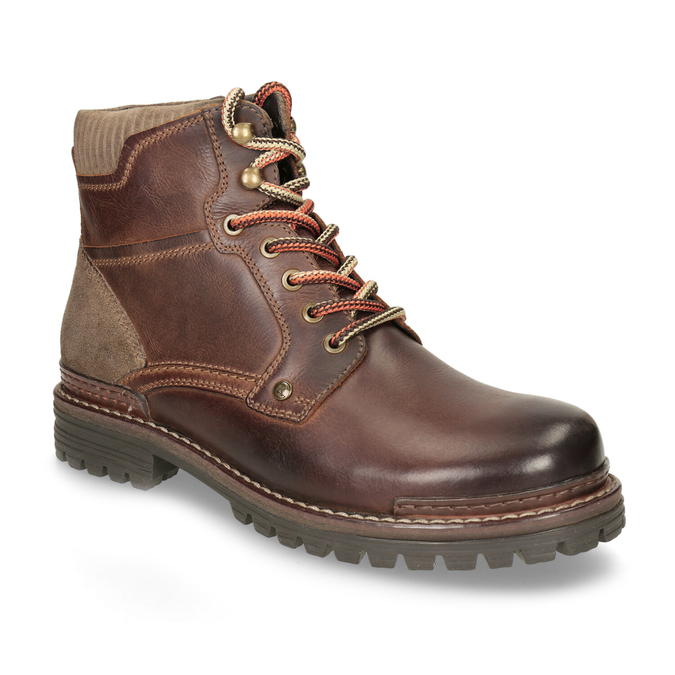 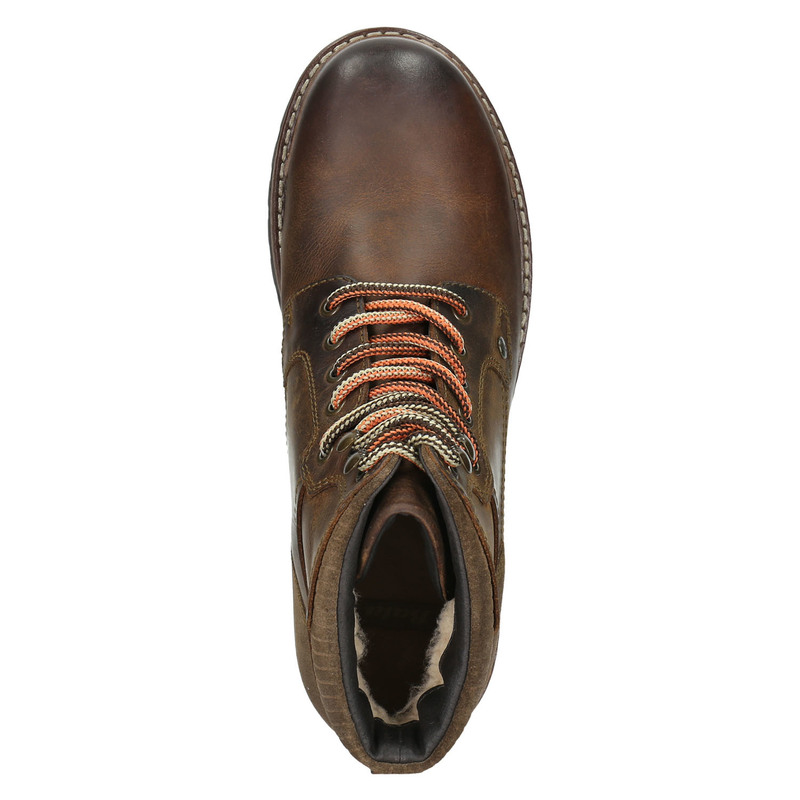 These men’s winter boots feature a thick sole with a tread that you will appreciate on chilly days, just like the insulation inside. 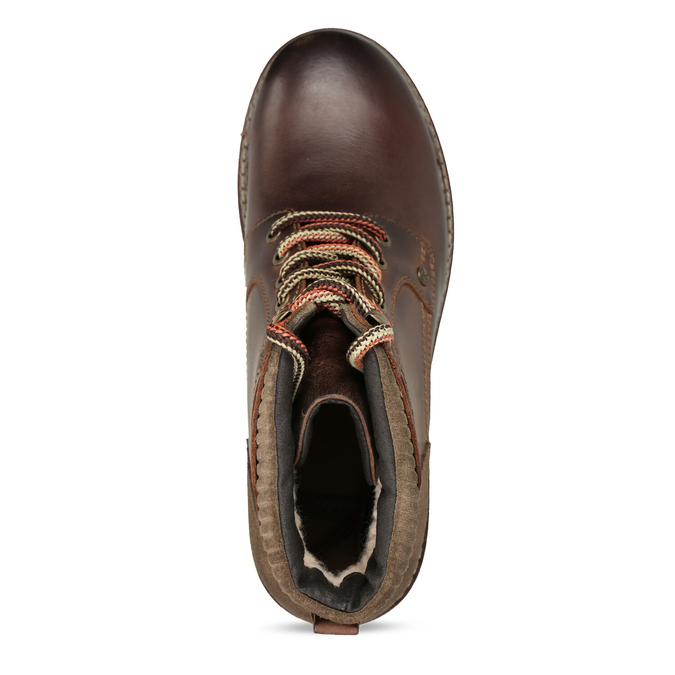 The brown leather upper combines several textures that are joined by stitching. The colourful laces give these boots an informal look.